Patch System bag, containing our bituminous conglomerate, can be thrown away in the plastic without any particular disposal procedure requested on the contrary for special waste; due to the type of composition, the conglomerate is tolerable to recycling. Patch System cold bituminous conglomerate has been created after a very deep and accurate work of research carried out in lab and continuous tests on the road. It is a product of the highest quality and the Patch System conglomerate represents a newelty in the asphalt world, either for the materials used and for the particular producing processing, that could be defined “handmade”. The Patch System is the first cold bituminous conglomerate made of bitumen modified with elastomer and structural synthetic fibers correctly mixed with grit mainly basalt internally of dedicated manufacturing systems. The preparation takes place in a very delicate process that, due to its origin, it can not be automated and that is why it requires a very long time to be produced. This peculiarity gives to the Patch System excellent features like an handmade product. The main feature – that makes the Patch System different in respect of the other similar products – is the opaque aspect. This opacity, that shows a very strong chain among the particles of the conglomerate, gives to Patchsystem a very important qualification of a long life and consequent saving of resources and money. The opacity, in fact, let the Patchsystem to perfectly cling itself, avoiding the “shelling” of the product and the dispersion of the grit on the road and on the tires, that usually happens with other cold conglomerates requiring further maintenance operations. Patchsystem conglomerate does not get out bad smells and toxic exhalations, it does not oil vehicle tanks and does not leave smears on shovels and other tools used for paving the asphalt. 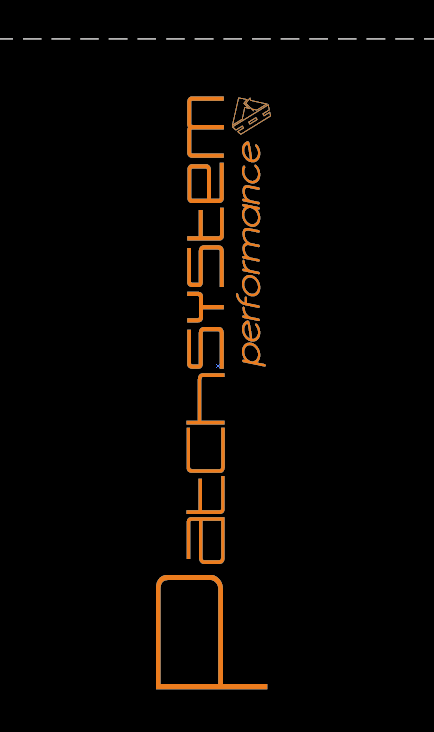 Another important feature that makes Patchsystem a unique product in the field is its versatility. As per all the cold products, in fact, it is definitively suggested for holes on the road. Contrary to other products, Patchsystem can be layed also with the finitrice, a field usually reserved to the “hot” bituminous , as carpet of the road. Its particular composition does not require all the preliminary procedures before paving, as the cleaning of the damaged surface and the removal of water in case it is present in the holes. At the end, Patchsystem does not need neither the intervention of the bituminous emulsion nor the final compression through mechanical vehicles. Therefore, it can be utilized for several applications and instead of the traditional hot bituminous conglomerate. Patchsystem technology developed a product that ensure the same performances and duration of the hot bituminous conglomerate, while maintaining the practical way of cold conglomerate. Patchsystem conglomerate is available in bag of 20 kilos/each, in Big Bag of 1000 kilos/each and also bulk. Therefore, Patchsystem is very innovative, original and unique among this kind of products. The authenticity of its formula is granted exclusively by Patchsystem trade mark indicated on the packaging.